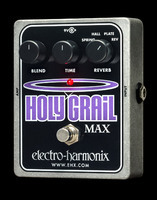 Holy Grail Max, Reverb for Guitar from Electro-Harmonix in the Holy Grail series. 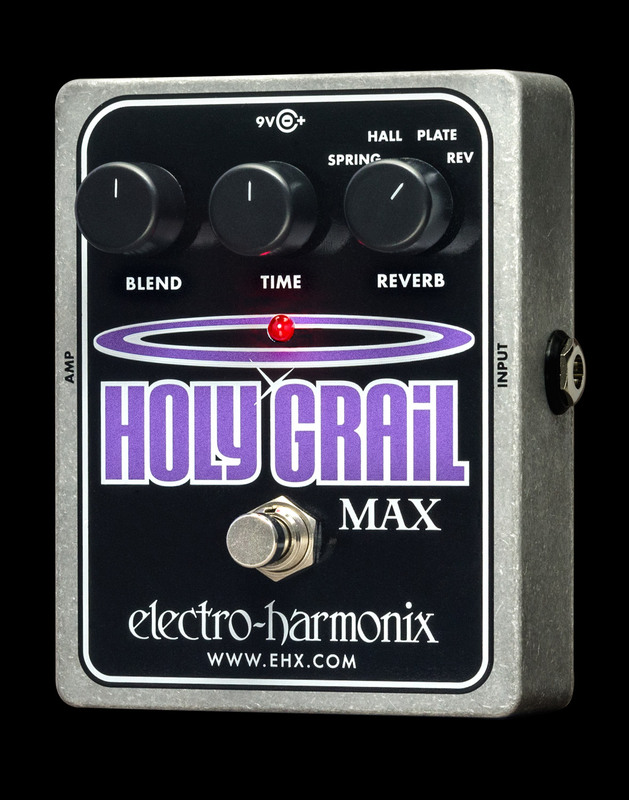 Holy Grail fans will be delighted to hear that there's a new Max version of the reverb pedal hitting the stores soon. Not only does it share the Print and Hall effects of the original, but also a Plate and a Reverse for the most adventurous. That means you get four switchable reverbs in total. 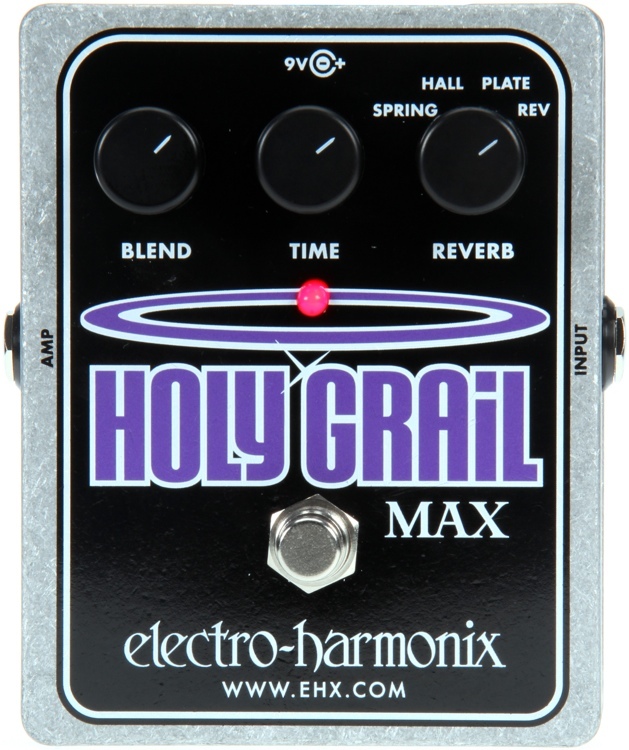 The Holy Grail Max features a Blend control to mix the dry/wet signals, as well as a Time multi-function control to adjust the decay of the Spring, Hall and Plate modes, or the Reverse time. 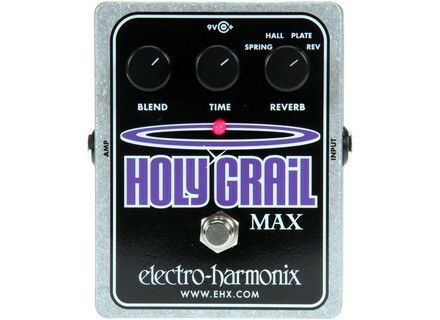 The Holy Grail Max will carry a $214.12 price tag (9.6V power supply included). 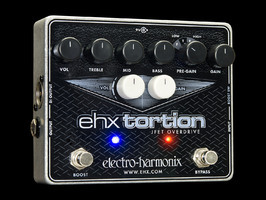 Next we have the EHX Tortion, an overdrive/distortion and JFET preamp pedal that can provide vintage and modern sounds. It features a boost switch, independent gain and volume controls, a 4-way Pre-Gain selector, and a 3-band EQ. 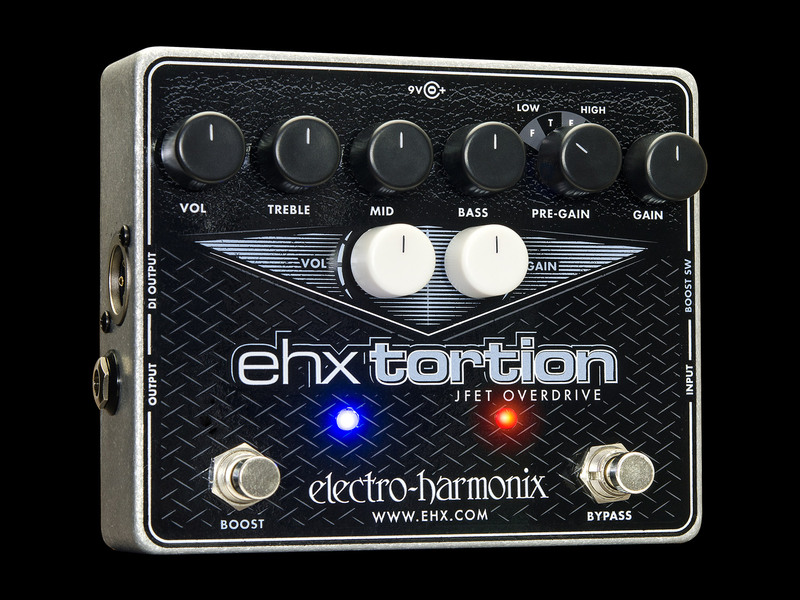 The EHX Tortion runs on a 9.6V DC power supply (included) and will sell for $198.67. 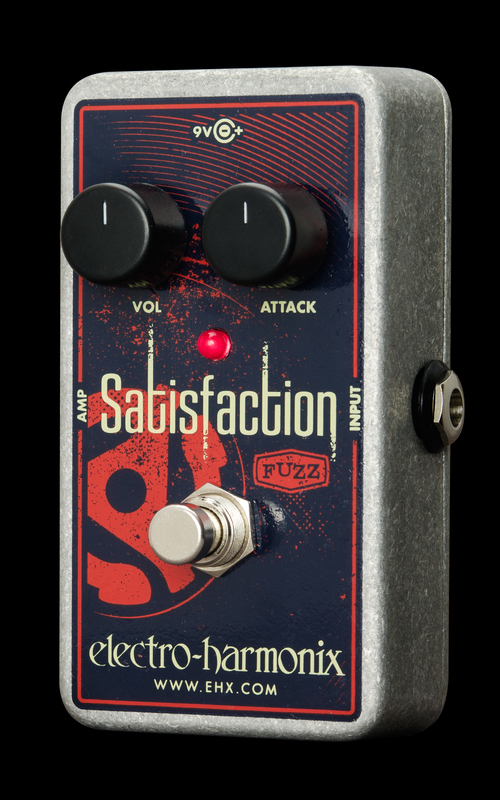 Finally, fuzz lovers on a tight budget will enjoy the Satisfaction Fuzz, a true bypass pedal with only two controls: volume and attack (fuzz). It is powered with a 9V battery (included) or an external power supply (optional) and will cost $69.54. [NAMM] Eventide debuts H9 Core Eventide will unveil this Thursday at the NAMM the newest addition to its stompbox line of harmonizers: H9 Core. [NAMM] Aria Guitars XM-9 and XP-9 coming to NAMM Aria will introduce at the NAMM Show 2014 two new guitars from the Aria Pro II series: the XM-9 and XP-9. [NAMM] Keith McMillen debuts the SoftStep 2 The second generation of the SoftStep programmable pedal will be officially introduced by Keith McMillen at NAMM 2014 on Thursday.